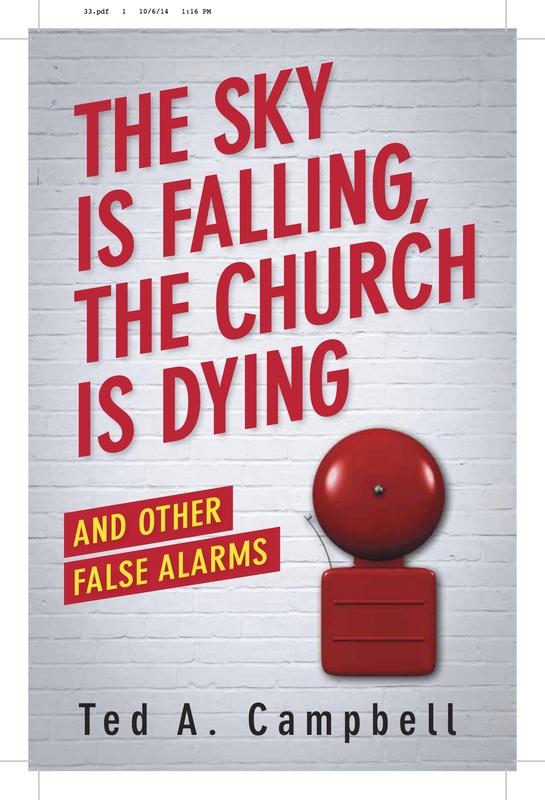 Ted A. Campbell, The Sky Is Falling, The Church Is Dying, and Other False Alarms. Nashville: Abingdon Press, publication anticipated in 2015. This book offers encouragement to Christians in historic (“mainline”) Protestant churches of the United States, pointing to a strong core of faithful Christians and vital communities in these churches. So what’s left after the fashionable, nominal old-line church members of the mid-twentieth century fade away? Probably neither the mythical mighty American mainline that never was, nor the wretched handful of wrinkled-up old farts waiting to die depicted in popular reports. These figures suggest that historic Protestant churches had an exaggerated sense of their own importance in the early twentieth century, and that false memory of glory days in a mythical past continues to haunt us as we wonder why we’re not “mainline” any more. News Flash: We never were.